Obituary for Douglas F. Hayes | Kostanski Funeral Home, Inc.
Montague Center -- Douglas F. Hayes, 71, of Montague Center died Monday 9/10/18 at the Elaine Center at Hadley. He was born in Jersey City, NJ, on August 11, 1947, the son of William T. and Genevieve (Devine) Hayes. Doug attended local schools in New Jersey and continued his education at Fairleigh Dickinson University and Ramapo College in New Jersey, where he studied sociology, anthropology, political economy, ecology, and American studies. Prior to that, Doug attended the United States Merchant Marine Academy at Kings Point, NY. Doug served in the United States Army during the Vietnam War, where he attained the rank of First Lieutenant. From 1968-1969, he was Platoon Leader and then Company Commander, 9th Infantry Division. He was a merchant mariner for over forty years, working on tugboats out of New York harbor. Doug retired from the Moran Towing and Transportation Co. in Greenwich, CT, and was a lifetime member of Local 333, United Marine Division, ILA-AFL-CIO. Doug Hayes was a man of many interests, talents, and passions, and a New Yorker at heart. He liked to say he was from Greenwich Village, where he frequented the former Lion’s Head tavern and the famous Vanguard jazz club. His many friends will remember his gifts as a chef; his hearty laugh and salty sense of humor; his many tales of life on the tugboats; and his love of wilderness and the natural world. Doug was an avid reader of both Scientific American and The New York Times, including the Times crossword puzzles and obituaries. 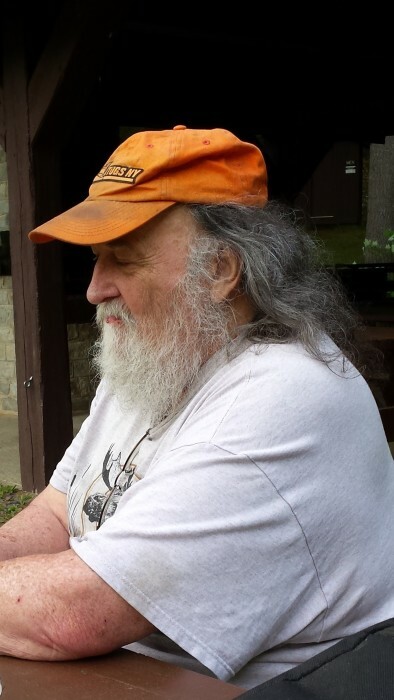 He enjoyed hiking, camping, and canoeing, as well as gardening and caring for his treasured collection of bonsai. Among his survivors, Doug leaves his partner of twenty-five years, Carol Baker of Montague Center; Carol’s daughter, Maia Hansen of Seattle, WA; a sister-in-law, Marianne Hayes of Maine; two nephews, Ryan and Ethan Hayes, also of Maine; a sister-in-law, Susan Hayes of New Jersey; and a niece, Deborah Hayes of New York. Besides his parents, Doug was predeceased by two brothers, William and Michael Hayes, and three beloved cats, Citoag, Bella, and Rusty, who died in June of this year. Doug’s many friends will treasure forever the special connection he had with each one of them, but in the end Douglas Hayes belongs only to himself -- and to the rivers, mountains, and oceans of his beloved Mother Earth. A Celebration of Life will be planned by his friends at a later date. In lieu of flowers, memorial contributions may be made to the Appalachian Mountain Club, 5 Joy Street, Boston, MA 02108; the Massachusetts Audubon Society, 208 South Great Road, Lincoln, MA 01773; or the Hospice of the Fisher Home, 1165 North Pleasant Street, Amherst, MA 01002. “Home is the sailor, home from the sea; And the hunter home from the hill.” -- Robert Louis Stevenson.